Microsoft erred when it decided that the new Office Mobile for iPhone would be available to Office 365 customers but not to those who purchased a traditional "perpetual" license to Office 2013, an analyst argued. "It's a mistake," said Frank Gillett of Forrester Research in an interview last week. 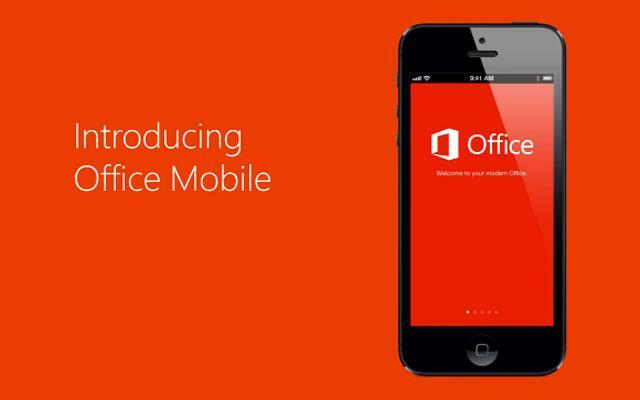 "Any one [with Office 2013] should be able to access the [Office Mobile] app." Last Friday, Microsoft launched Office Mobile, a three-part app that lets iPhone owners view Word, Excel and PowerPoint documents, and make minor editing changes to existing files. Although free to download, Office Mobile only works when the user also subscribes to Office 365, or has an account to a subscription through his or her workplace. But Microsoft customers who forgo a rent-not-buy Office 365 plan and instead purchase a perpetual license -- the kind that's paid for once and can be used as long as desired -- are out in the cold. That's not a good way to push adoption of Office 2013, said Gillett, pointing out that both consumers and businesses buy perpetual licenses to the suite. In fact, although Microsoft has boasted of Office 365's rapid adoption pace -- last month it said the consumer-grade Office 365 Home Premium had reached 1 million subscribers -- most enterprise customers don't acquire Office via subscriptions, and instead rely on volume license agreements to stock workers' devices with the suite. "They're continuing the artificial advantaging of one product over another to change customer behavior," Gillett said. "We think that's a major mistake." By cutting perpetual licenses out of the loop, Microsoft's created two classes of Office 2013 users, those who have the suite courtesy of a subscription, and thus access to Office on their iPhones, and those who do not. "It's hard enough to get customers to upgrade Office as it is," Gillett said, arguing that by denying Office Mobile to users of perpetually-licensed Office 2013, Microsoft alienates some of its customers. While Microsoft is aggressively promoting Office 365 -- the Office Mobile move is just the latest -- it has promised to continue selling perpetual licenses to the suite for the foreseeable future. Microsoft's preferred treatment for subscribers is part of its long-term strategy, which dangles carrots and brandishes sticks to prod customers into taking the rental road. Subscriptions give Microsoft a more regular revenue stream that theoretically won't require convincing users to upgrade every three years. Customers who cancel an Office 365 subscription are left with crippled software on their desktop and notebook personal computers, effectively locking them into the plan. The longer they stick with a subscription, the less likely they are to cancel, because to do so means they must purchase perpetual licenses as replacements. Bob O'Donnell, an analyst with IDC, wondered about the efficacy of Microsoft's strategy that gives Office 365 customers preferred treatment. "It will push some to move to Office 365, but the challenge is that customers are not crazy about [subscriptions]," said O'Donnell. "They're still tough for people to swallow." This article, Papers please! Microsoft creates second-class citizens with Office iPhone app, was originally published at Computerworld.com.